No matter how many people insist that bacon is "over" we don't believe it. 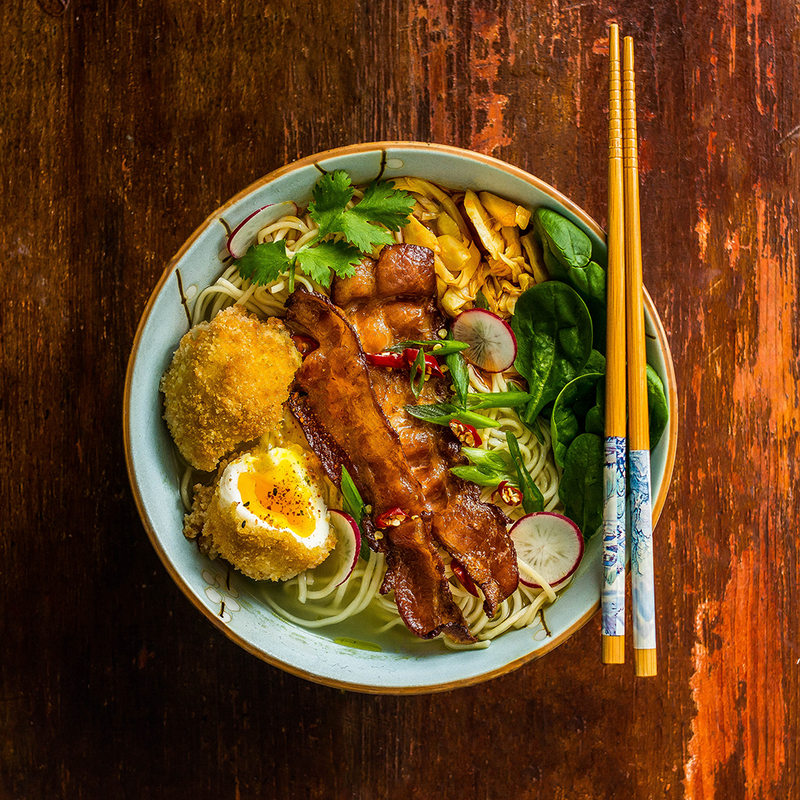 Here, some of our favorite smokey, crispy additions to burgers, sandwiches, ramen and more. 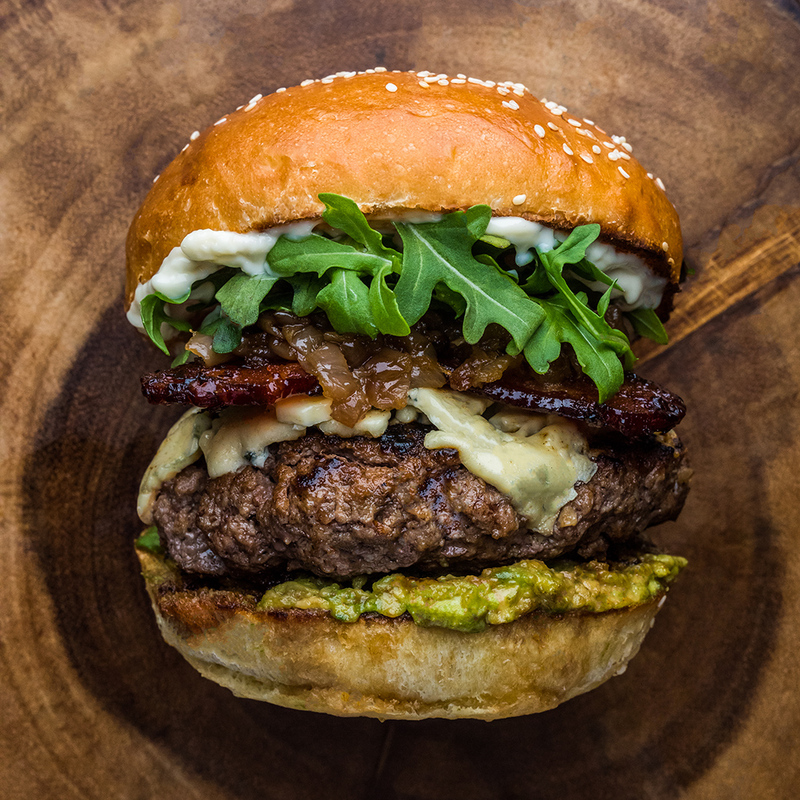 Topped with blue cheese, caramelized onions, and maple bacon, this burger is a total badass. A little smoky, a little spicy, and a little sweet. Welcome to burger heaven. Some days the choice between a salad and a sandwich can be overwhelming. Here I've combined a Panko Parmesan crusted chicken filet with Caesar salad for a garlicky cheesey bit of heaven. Some people think the bacon-wrapped-everything trend has jumped the shark (or the gator, as the case may be). So it’s time to get back to basics with some bacon-wrapped onion rings. Pop those on top of a burger with some mashed avocado and chili mayo and you have all the important food groups covered. 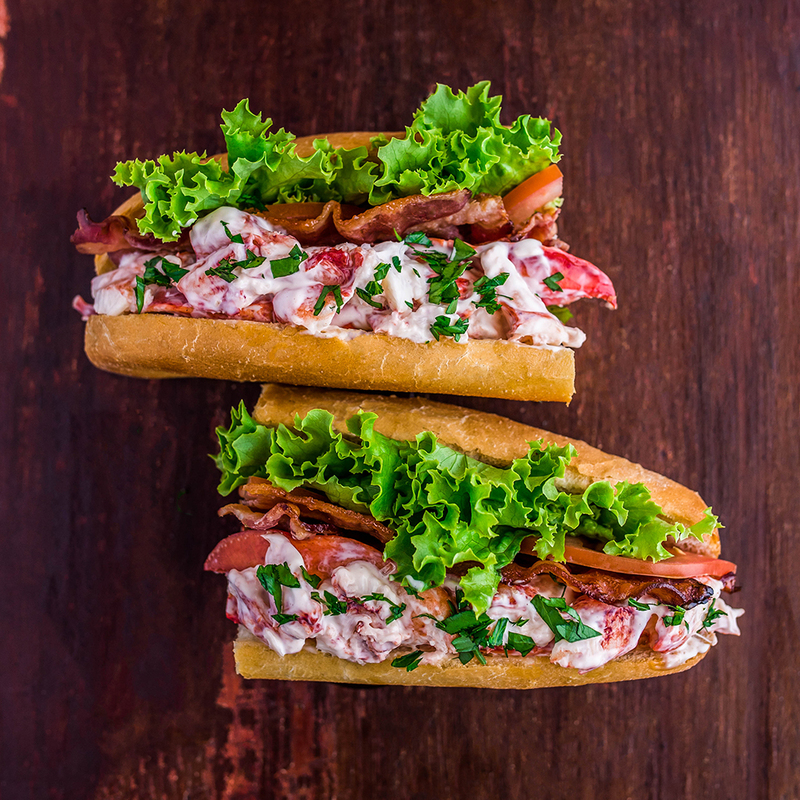 A little sweet from the maple bacon and a little spicy from the cayenne, this lobster roll is sure to keep your summertime sandwich game on point. 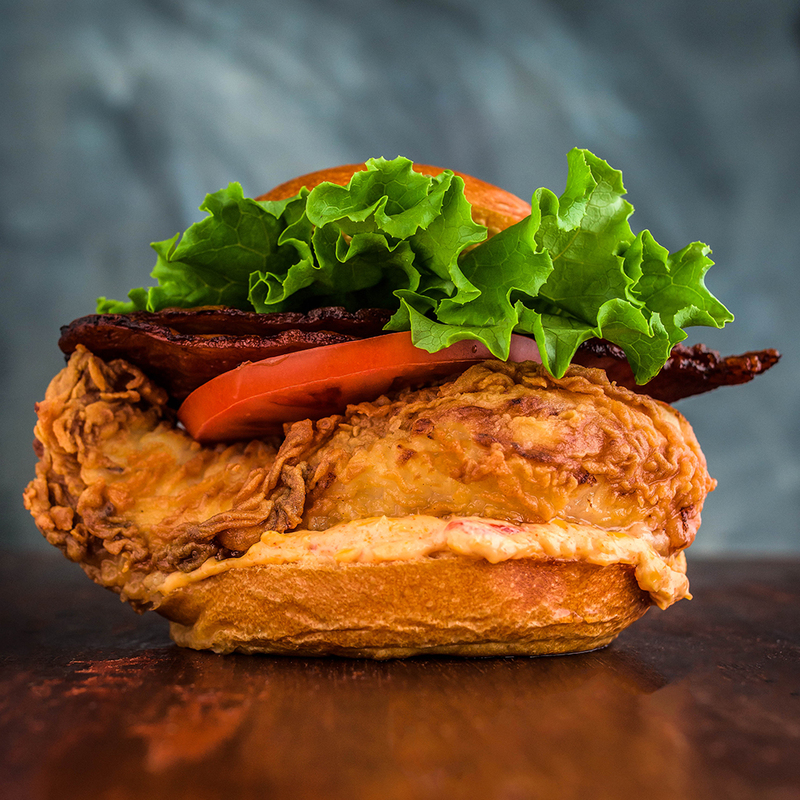 One of life's great pleasures is a perfectly fried piece of chicken on a soft bun. Add maple bacon and spicy pimento cheese, and you may never need another sandwich again. Perfect comfort food. The burger can be many things: delicious, classic, timeless, perfect comfort food. Sometimes, though, a burger can be life altering. Enter, The Juicy Lucy. A mouthwatering burger patty stuffed with a molten cheese surprise. Nothing takes the edge off one too many mint juleps like a Kentucky Hot Brown sandwich. The rich combination of turkey, bacon and Mornay sauce has been a Bluegrass State staple for almost a century; but just because something is a classic doesn’t mean it can’t be improved upon. Here’s my take on the Hot Brown in burger form. 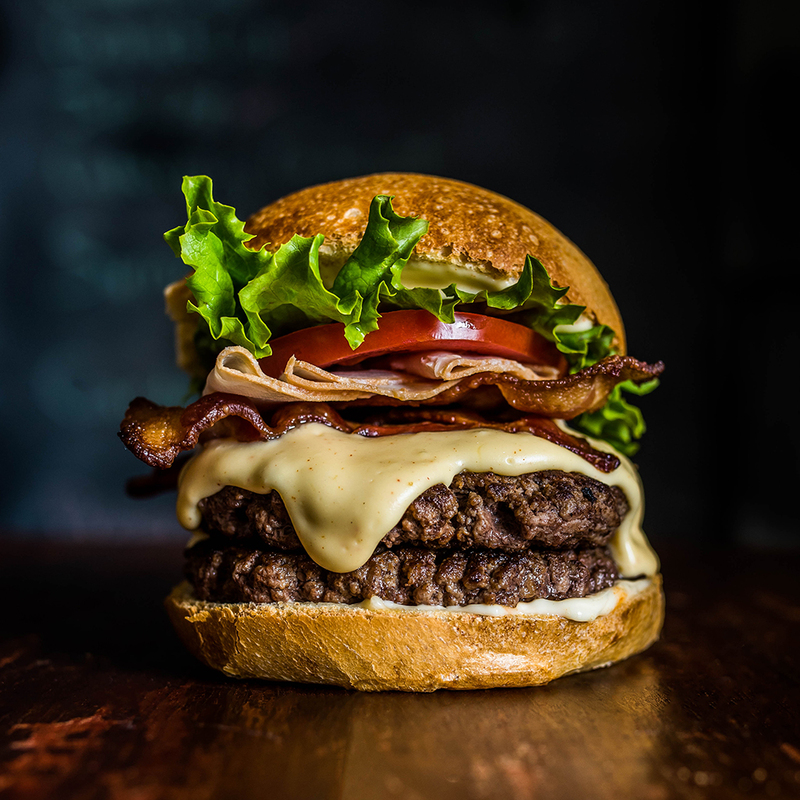 Topped with bourbon brown sugar bacon, smoked turkey and Mornay, this burger is the perfect friend maker. 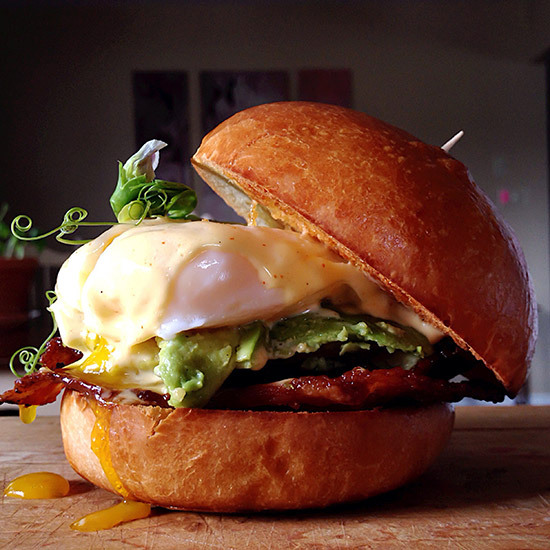 Eggs Benedict is the quintessential brunch dish. Unfortunately, some cooks shy away from it, thinking it’s too hard or time consuming to make at home. This recipe is really straightforward, doesn’t take a long time and lets you get back to that mimosa with your brunch guests. For those of you sick of hearing about McDonald’s all-day breakfast, I have the solution for you: My burger-ized breakfast sandwich, with everything made from scratch right down to the condiments. Mornings, whatever time of day you decide to eat this, just got a lot more delicious.